Pre-Production Processes - Pre-production process includes sampling, sourcing of raw materials, Approvals, PP meeting etc. Read this for further reading on pre-production processes. Production processes - Production processes are cutting, sewing etc. 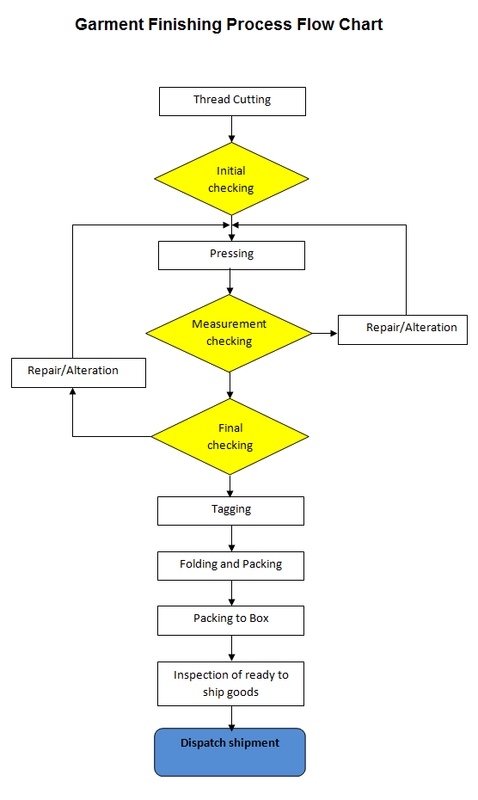 Post production processes - thread trimming, pressing, checking, folding and packing, shipment inspection etc. Instead of making a single process flow chart, I have made one chart for major processes and two separate charts for cutting room processes and finishing processes for detailed process chart. 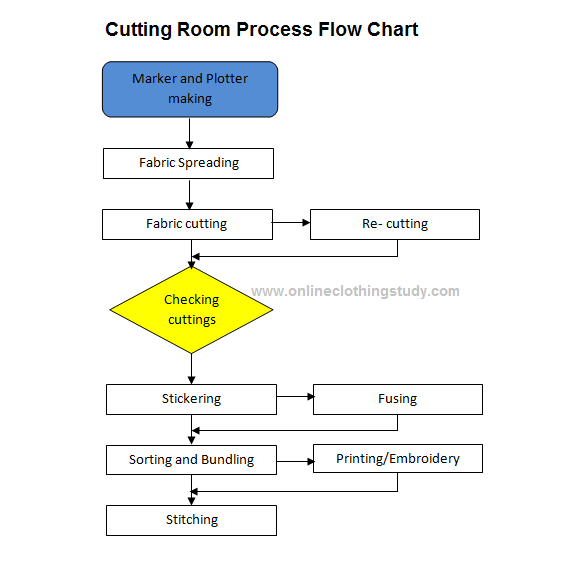 The garment manufacturing process and a detailed process flow chart on garment manufacturing are displayed in this post.